Stakes winner Counterforce will enter stud for the 2019 season at Road's End Farm near Abbotsford, British Columbia. 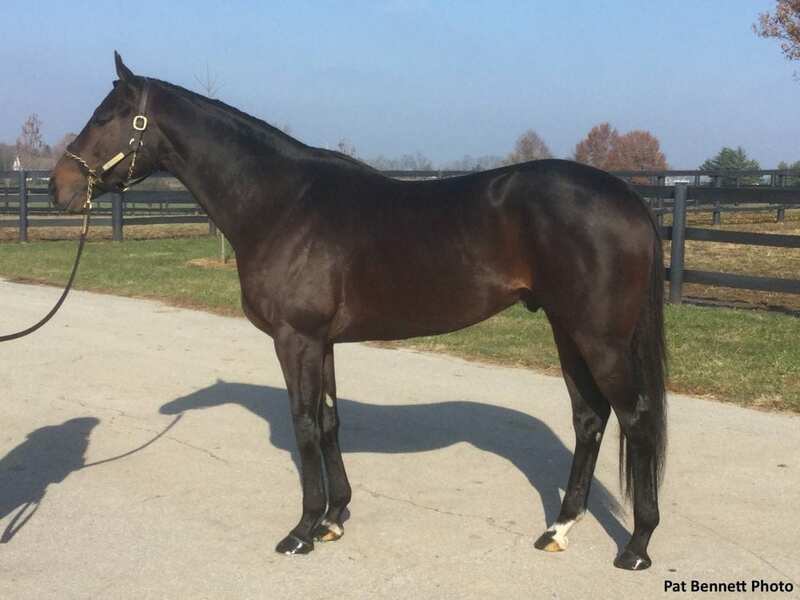 The 5-year-old son of two-time leading North American sire Smart Strike, out of the Bernardini mare Achieving, will stand for a fee of $2,000, Canadian funds, as the property of a partnership. Bred and raced by Winchell Thoroughbreds and trained by Steve Asmussen, the speedy dark bay won or placed in 17 of 24 starts at 12 different tracks, while winning five races and $323,708, including five stakes wins or placings. After an Oaklawn Park maiden special-weight win at three in his career debut, he was a two-length winner of the $150,000 Bachelor Stakes at Oaklawn in his third lifetime start. A stakes performer every year he raced, Counterforce won or placed in seven of his nine 2018 starts, including a rallying second-place finish in the Sam Houston Sprint Cup Stakes earlier this year. Described by his trainer, Steve Asmussen, as “A very sound, athletic, well balanced horse,” Counterforce also boasts a stellar pedigree. His sire is Grade 1 winner and leading sire Smart Strike, whose sons at stud include major sires Curlin, Lookin at Lucky and English Channel. His first two dams are graded stakes producers, and his third dam is 2007 Broodmare of the Year Better Than Honour, dam of Belmont Stakes winners Rags to Riches and Jazil. His fourth dam is Kentucky Oaks winner and multiple stakes producer Blush With Pride, and his fifth dam is 1982 Broodmare of the Year Best In Show. This entry was posted in Bloodstock and tagged 2019 stud fees, Counterforce, Horse Retirements, road's end farm, steve asmussen, winchell thoroughbreds by Edited Press Release. Bookmark the permalink.